Eugene knows more than a little something about getting around on foot. After all, this is a city that’s nicknamed TrackTown USA, home to the athletic energy of the University of Oregon and the birthplace of Nike. Forgoing the car may be the best way to explore the walkable neighborhoods that define this hub for counterculture cool. It’s also a healthy way to burn the calories that come with indulging in the craft breweries and distilleries, the decadent farm-to-table dinners and the world-class wines of the South Willamette Valley. Here’s how to spend a few delicious days doing it all. 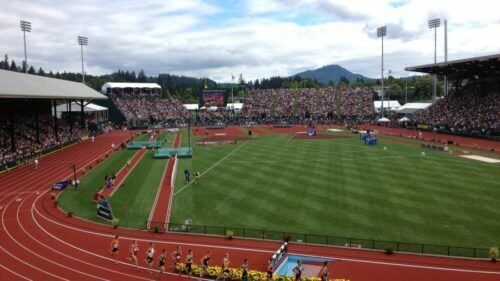 Making your way to Eugene is easy. If you’re traveling from Portland, you can take an Amtrak train from Union Station or a Bolt Bus from the Pearl District. Bus travelers can also hitch a ride on the Oregon Express Shuttle from the Portland International Airport (PDX) as well as the cities of Salem, Woodburn, Corvallis and Albany. You can also fly directly to the Eugene Airport, which serves 10 other airports in the United States with connecting flights. Once in Eugene, Lane Transit District provides bus service within the city and the surrounding area. The online trip-planning tool can help you route the most efficient ride between points. You’ll find maps and schedules here. For an upscale overnight, The Campbell House Inn, a historic boutique hotel tucked into the area’s iconic Skinner Butte mountain, situates you well for exploring the 5th Street Public Market, a game at Autzen Stadium, the Hult Center for the Performing Arts, the Convention Center and many top restaurants. The Hilton Eugene is just a few minutes’ walk from the Amtrak Station and has great amenities, including complimentary service to the Eugene Airport. For a more budget-friendly option, The Courtesy Inn is centrally located within walking distance of the University of Oregon campus. The best way to get to know Eugene is by browsing its eclectic neighborhoods. Indeed, the city supports development of what’s called a “20-minute neighborhood,” where residents have easy access to restaurants, stores, parks and public services by foot. 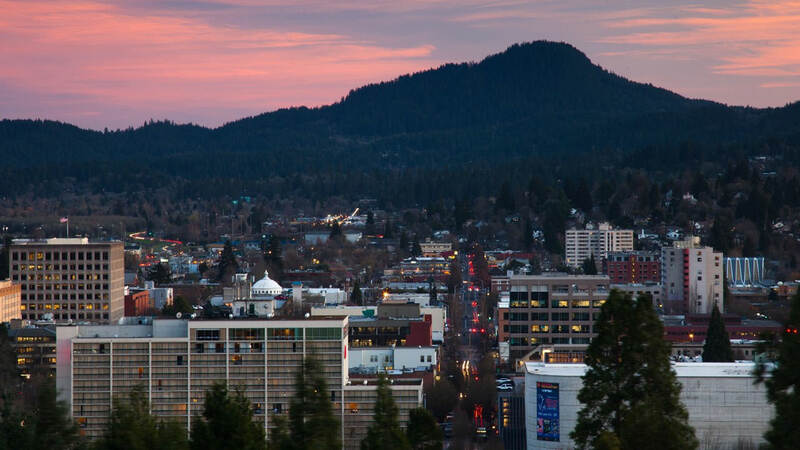 There’s no better example of this than the city’s downtown, where you’ll find independent shops, a wide range of restaurants, buzzing parks and plazas, and iconic weekly events such as the Eugene Saturday Market (spring through fall). The Whiteaker neighborhood — or “the Whit,” as locals call it — is a cool mixture of historic homes and independent businesses, collectively defined by a bohemian character; the neighborhood is home to a concentration of breweries and tasting rooms. Adjacent to the University of Oregon campus, the West University neighborhood is great for visiting art museums or seeing a show at venues like the esteemed Bijou Art Cinemas. 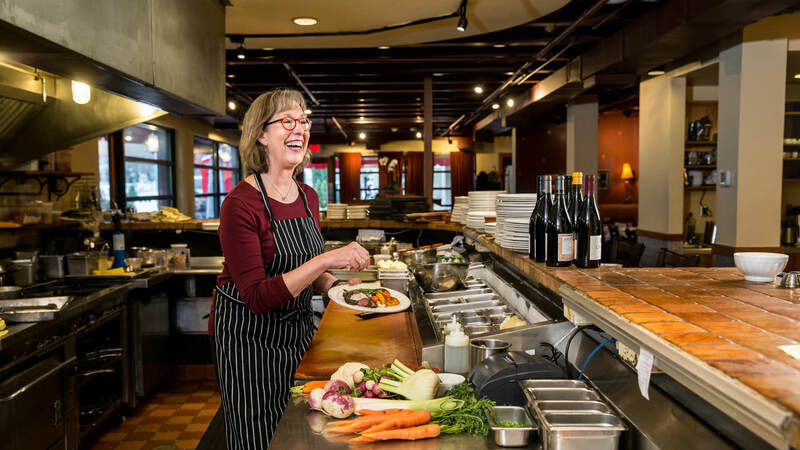 With its proximity to producers in the Willamette Valley and fishers on the Oregon Coast, Eugene has long cultivated a food scene that prioritizes all things local. But in the past few years, the restaurant scene has been injected with even more energy, including frequent new openings, a can’t-miss food hall and farm-to-table standouts. Perhaps the most Eugene way to start the day ever is Lion and Owl, a brunch hot spot where you can enjoy a full-service breakfast in an Airstream bus. The seasonal menu features dishes like toasted oat groats with cured egg yolk, celery and fennel bread pudding, and a “Breakfast in Paris” plate of French finger food. Just looking to grab something on the go? Nothing beats the choices available at Provisions Market Hall at the 5th Street Public Market, a specialty grocery with a European-style display of artisan cheese, classic deli sandwiches, wood-fired pizza, house-made charcuterie, fresh salads and all manner of confections made by an in-house pastry chef. Party Downtown is one of the city’s most popular and innovative farm-to-table restaurants. The constantly changing menu — stocked with Southern-influenced staples like fried green tomatoes and fried chicken — sources exclusively from area farms and has a surprise prix fixe menu. The city’s most recent entry in the seafood category, Makoto Japanese Restaurant wins with gracious service, some of the freshest fish in the valley and classic Tokyo sushi-bar vibes. From here it’s a short walk to Noisette Pastry Kitchen for dessert: Hazelnut chocolate chunk cake with coffee, lemon tarts with Earl Grey tea, or some house-made granola for the road would be good options. 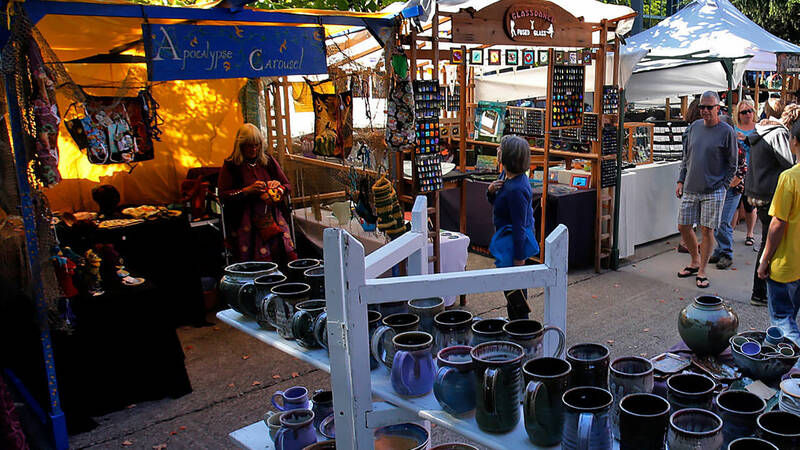 Explore dozens of artisan booths at the Eugene Saturday Market, held spring through fall, with the indoor Eugene Holiday Market held in December. To get a strong impression of the thriving local art scene, do a mini walking tour of downtown galleries and hot spots, including Karin Clarke Gallery, New Zone Gallery and White Lotus Gallery, and plan to visit the score of artists’ booths at the Eugene Saturday Market. One of Oregon’s premier art centers, the University of Oregon’s Jordan Schnitzer Museum of Art displays works from the Americas, Asia and Europe in a variety of mediums — painting, sculpture, ceramics and mixed media. The museum’s galleries feature more than 13,000 objects, including one of the most esteemed Korean art collections in the nation and a rotating display of Russian Orthodox icons. Changing exhibitions are always a must-see in Eugene’s budding visual-arts community. 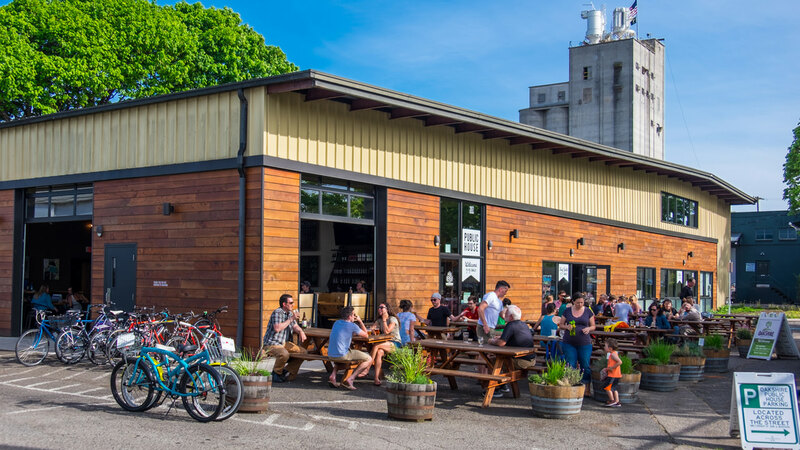 A selection of the two dozen stops — both in Eugene and surrounding communities — on the Eugene Ale Trail make for a fun brewery or pub crawl. Eugene craft brewers base their brews on a foundation of pure water from the Cascades-fed McKenzie River and regional ingredients, including Willamette Valley hops. For a self-guided walkable tour of the area’s suds scene, try the Whiteaker neighborhood, where you can start at Ninkasi Brewing Company, continue on to Hop Valley Brewing Co. and finish at Oakshire Brewing Public House. For a more curated tour, call on companies like America’s Hub World Travel & Tours: Eugene. 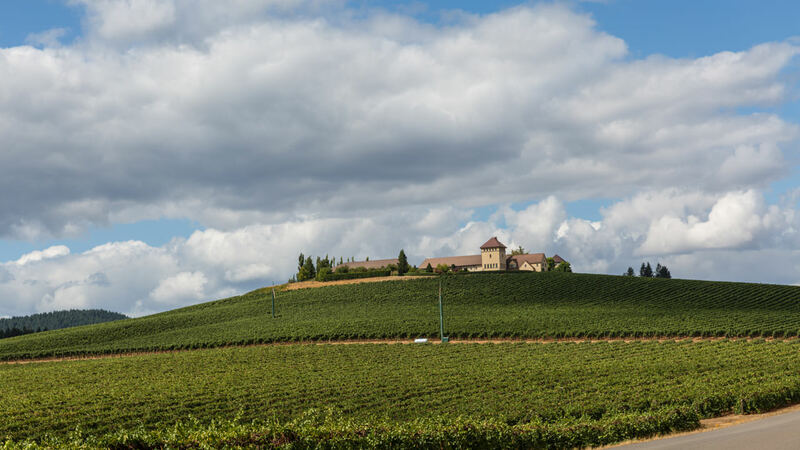 The South Willamette Valley is home to more than 100 vineyards and 25 wineries, from sprawling, world-renowned wineries such as King Estate to more off-the-beaten-path spots like Sweet Cheeks Winery & Vineyard. 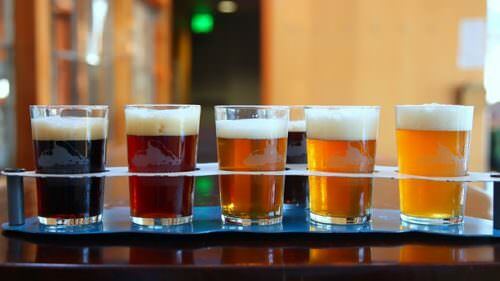 You can embark on a tasting tour without a car by booking a guided tour. Schedule a pickup directly at your hotel with Cork and Barrel Wine Tours. The family-run company offers three distinct wine-touring experiences in the Willamette and Umpqua valleys; or, given advance notice, they can put together a customized wine tour with your palate in mind. View nearly 50 birds of prey in outdoor aviaries at the Cascades Raptor Center. Hail a cab for a 15-minute ride from the center of Eugene to the Cascades Raptor Center. 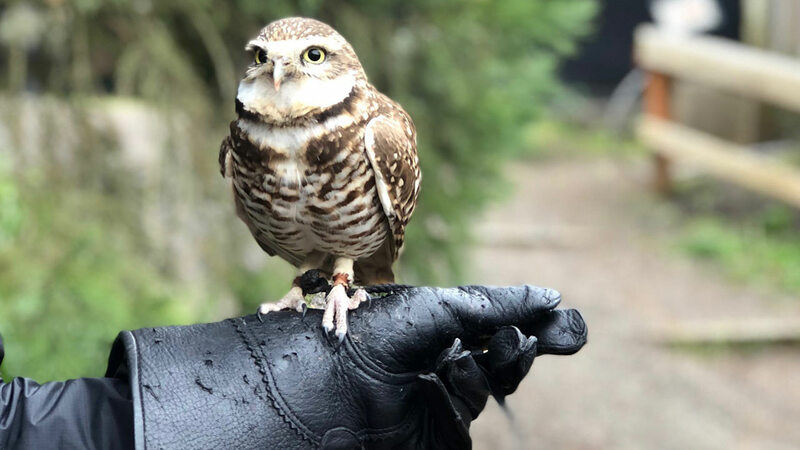 The site, a working hospital and rehabilitation center for native raptor species in the Pacific Northwest, cares for nearly 50 large birds of prey housed in outdoor aviaries. Meet birds from Bodhi, the tiny barred owl, to Celilo, an American bald eagle, while learning about the center’s work in healing and re-wilding raptors. Check ahead — Some attractions may offer limited hours in the cooler months, so call ahead to be sure. 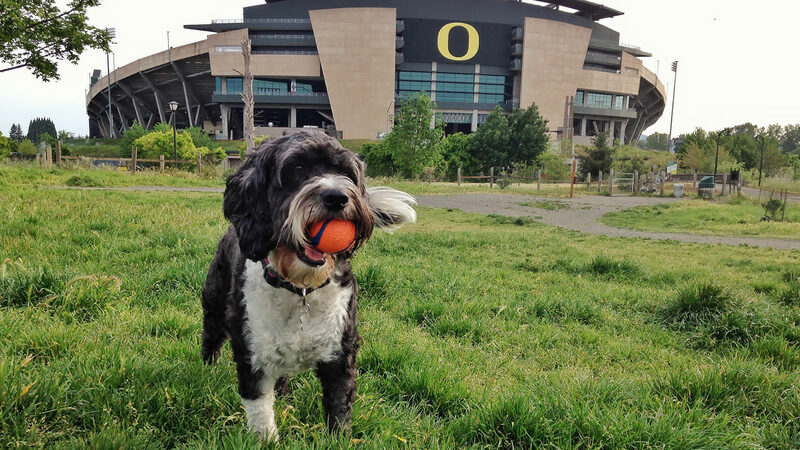 In the fall, home-game days for the Oregon Ducks at Autzen Stadium can affect traffic patterns and crowds. 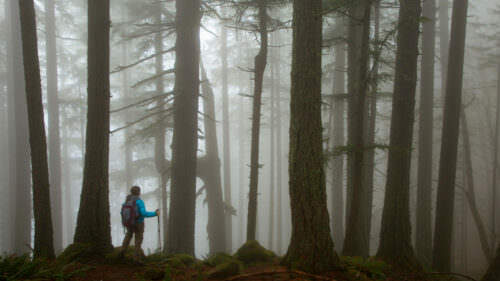 The winter rainy months offer much in the way of indoor entertainment, gallery shopping and other walkable activities, but be sure to pack your rain gear (jacket and boots). Cab services — Tired of walking? The car-sharing services Uber and Lyft both operate in the Eugene-Springfield metro area. You can also arrange a cab with private services such as Oregon Taxi. Bike travel — Eugene is a Gold-level Bicycle-Friendly Community and one of the most popular cycling cities in the nation. All Lane Transit District buses are equipped with bike racks. You can pick up a bike for one-way and all-day rides with Eugene’s PeaceHealth Rides bike-share program. Download bike maps for the city and outlying communities here. 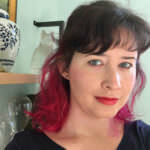 Emily Grosvenor is the editor of Oregon Home magazine. Her stories of place have appeared in The Atlantic, Sunset, AAA Via and Good Housekeeping. Find her @emilygrosvenor.